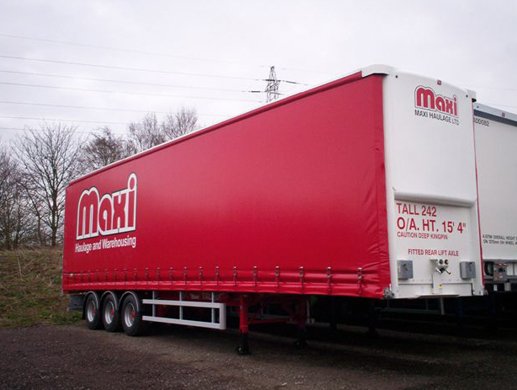 We ensure that all our customers are “in the right hands” when entrusting their logistic requirements to Maxi, the needs of the customer can and are met…. 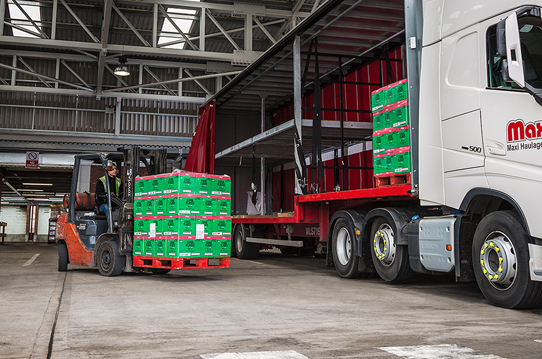 Whether it be for multi-user or bespoke distribution, or individual distribution, Irish services or feasibility studies to improve our customers’ distribution scheme. 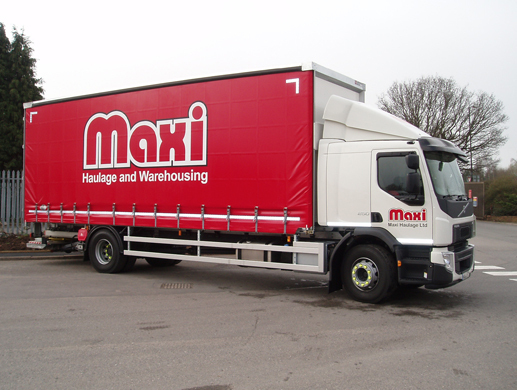 With the Group’s nationwide depots, dedicated staff, advanced IT applications and commitment to high service levels and low cost you are in the right hands with Maxi. 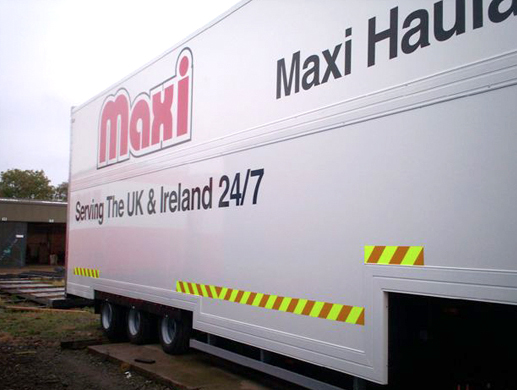 Maxi Haulage is a leading provider of haulage, distribution and logistics services throughout the UK and Ireland. 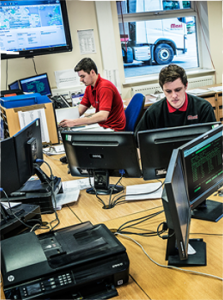 With over 40 years’ experience and a network of locations, our experienced and motivated staff combined with modern I.T and fleet provide our customers with superior service and economy in all their logistics needs. 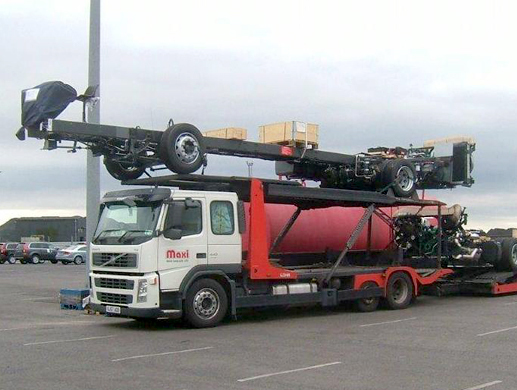 We have an extensive range of 13.6m tri-axle trailers with different body types includes curtainsiders, box vans, including double decked and step-frames and other specialist variations and a large range of flatbed trailers including extendible, truck transporters, PSKs, and self-loading and lorry loader variants. Some operate in customers’ own livery, offering an excellent promotional opportunity. 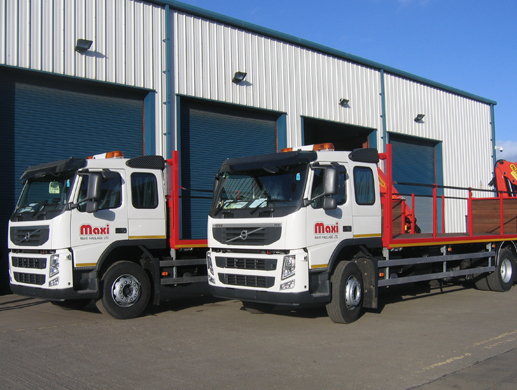 Maxi’s fleet of distribution and specialist rigid vehicles are also extensive, containing many body types with 2 and 3 axle combinations. Main distribution is by four and six wheel, curtainsided, from 7.5 – 27 tonnes gvw trucks: the majority with tail lifts; many in customers own livery. 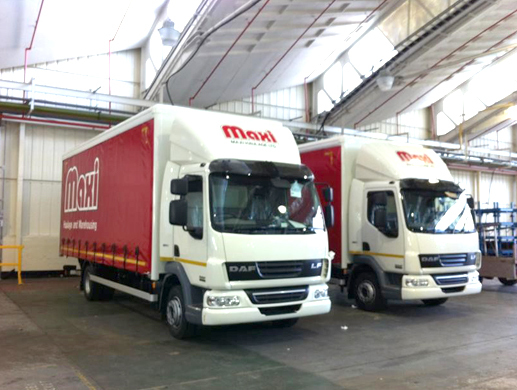 We also operate flats; some with lorry loader; and a range of small vans and pick-ups to provide a full range of distribution requirements. 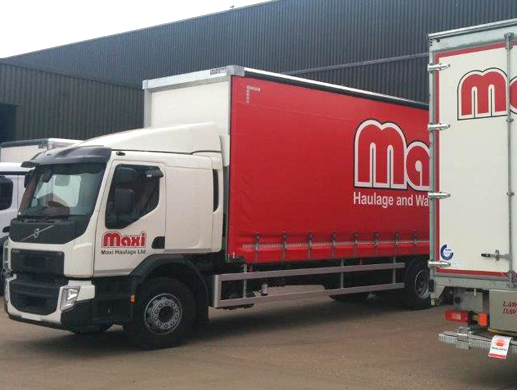 All main Maxi depots use a comprehensive range of forklifts, from 1.5 – 4 tonnes capacity. 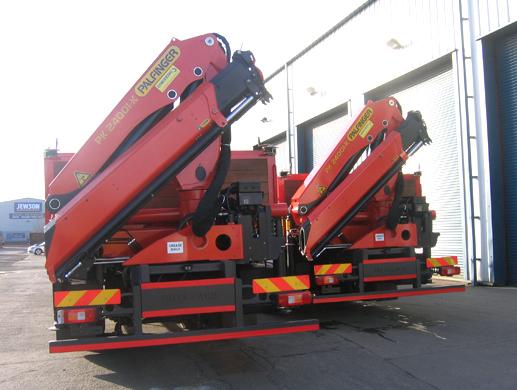 Full free lift masts and a range of front equipment, such as carpet poles, paper clamps plus loading ramps and other handling devices are available as required to meet the needs of the depots’ customers. 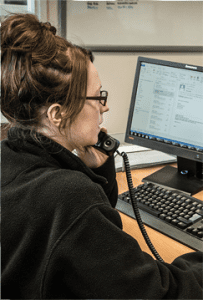 We have a high proportion of long service staff who are proud of their expertise in their chosen areas of operation, whether it be a driver, warehouse operative, office staff, manager or a Director, they all work together as one team to provide service to the customer. 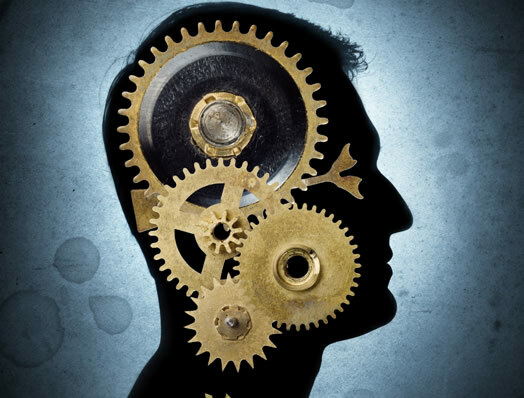 Our philosophy is to provide our customers with the precise products and services they require, continually meeting the highest quality standards at a competitive price. We have followed a policy of professional, proactive management with in depth technical knowledge and expertise in our fields. Profits have been reinvested to provide strong balance sheets and investment capital to ensure we have a very modern fleet and excellent facilities. We have no borrowing and have reserves to finance investment and growth. We always go the extra mile to ensure that our clients and customers are continually provided with the best possible service whilst maintaining quality and efficiency. This leads to repeat business and long term relationships.